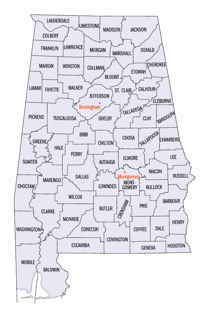 Covington County, (briefly Jones County), is a county of the state of Alabama. Based on the 2010 census, the population was 37,765. 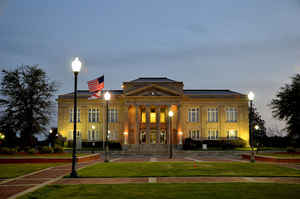 Covington County was created on December 17, 1821 and formed from Henry County. The county seat is Andalusia. Covington county is named in honor of Brigadier General Leonard Covington of Maryland and Mississippi, who died in the War of 1812. Covington County was named for Brigadier General Leonard Wailes Covington, a soldier in the War of 1812 (Maryland). In August of 1868 the name was changed to Jones County, though the original name was restored in October of 1868. Covington County was formed on 1821 December 17, 1821. The boundaries were rearranged in 1824, 1841 and 1868. 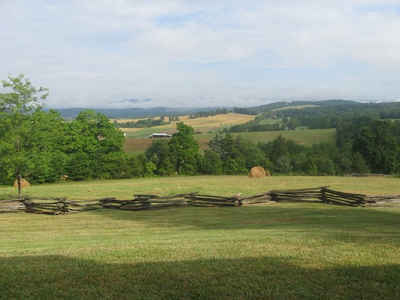 The county was named for Brigadier General Leonard Wailes Covington, a soldier in the War of 1812 (Maryland). In August of 1868, the name was changed to Jones County, though the original name was restored in October of 1868. The county is located in the south-central part of the state, bordering Florida on the South. Covington county presently comprises 1,038 square miles. The county seat was first established at Montezuma, later named Covington. The current county seat is at Andalusia. Other towns include Opp, Red Level, and Florala. The southwestern portion of the county contains the Conecuh National Forest. As reported by the Census Bureau, the county has a total area of 1,044 square miles (2,700 km2), of which 1,030 square miles (2,700 km2) is land and 13 square miles (34 km2) (1.3%) is water. It is drained by the Conecuh and Yellow rivers. The Conecuh River runs through the western area of Covington county, and its tributary, Patsaliga Creek, runs through the northwestern section. In addition, Gantt Lake, created in the 1920s, impounds the Conecuh River. The Blackwater, Yellow, and Pea Rivers also feed into the county via the Five Runs, Clear, Dry, Panther, and Corner creeks. Southeast: Geneva County; Walton County, Fla.